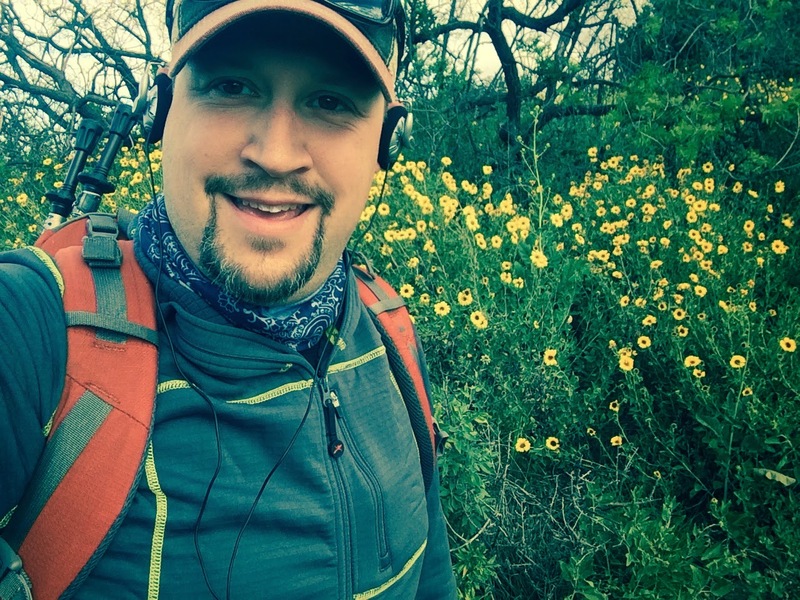 Who is that jaunty fellow in the field of flowers? Why its me wearing the latest and greatest from Terramar. 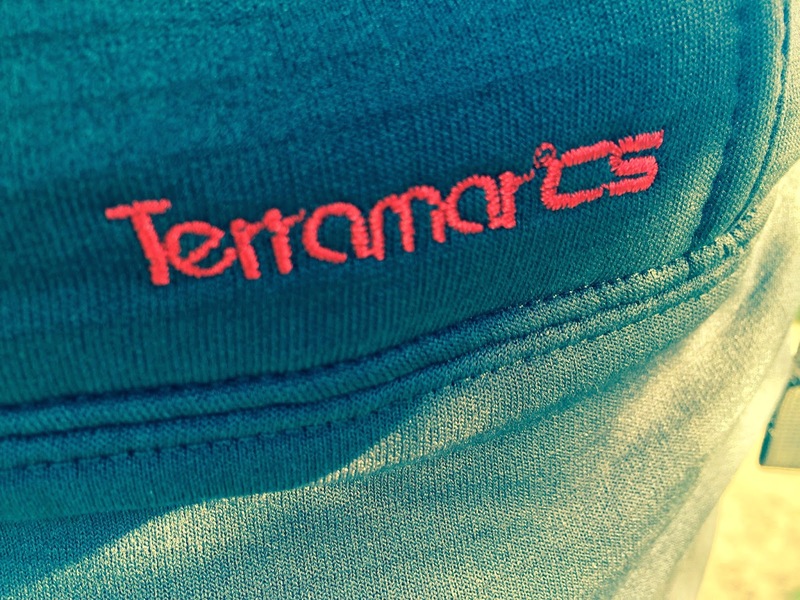 Readers of this blog know how much I like Terramar, even so much that I am a brand ambassador for them. Well I like them even MORE now that they are fully rolling out their Climasense line. 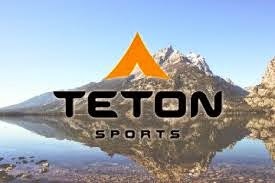 This line gives you tough but breathable materials for a fraction of the price that you can get from The North Face or others and they are great materials. For over a year I had been looking to get my hands on the latest in the Climasense line, the Ecolator. 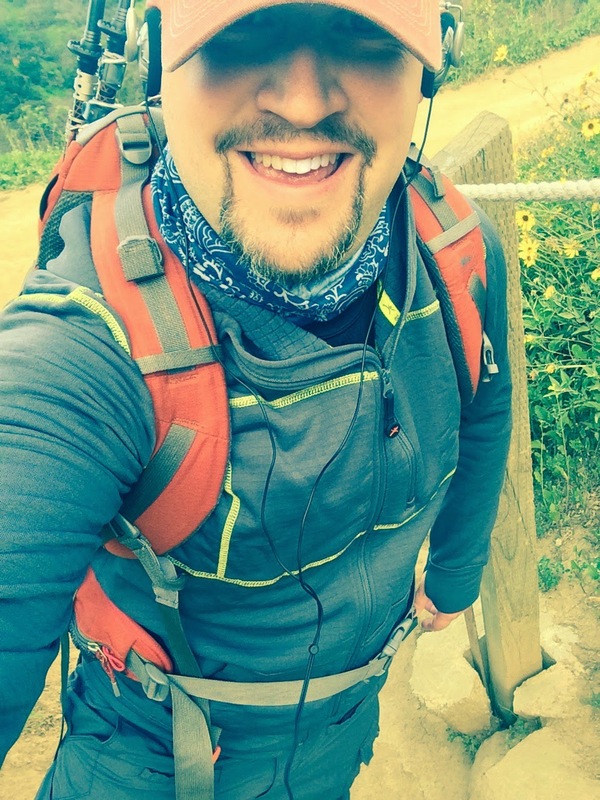 This is a hoodie midlayer piece that keeps you warm and comfy if you are just hanging around the campfire but doesn't have you overheat if you are climbing a steep hillside. (so steep there was a rope support system). Wearing it hiking, it is thin but tough. There are pockets to hold items and looks pretty snazzy as well. 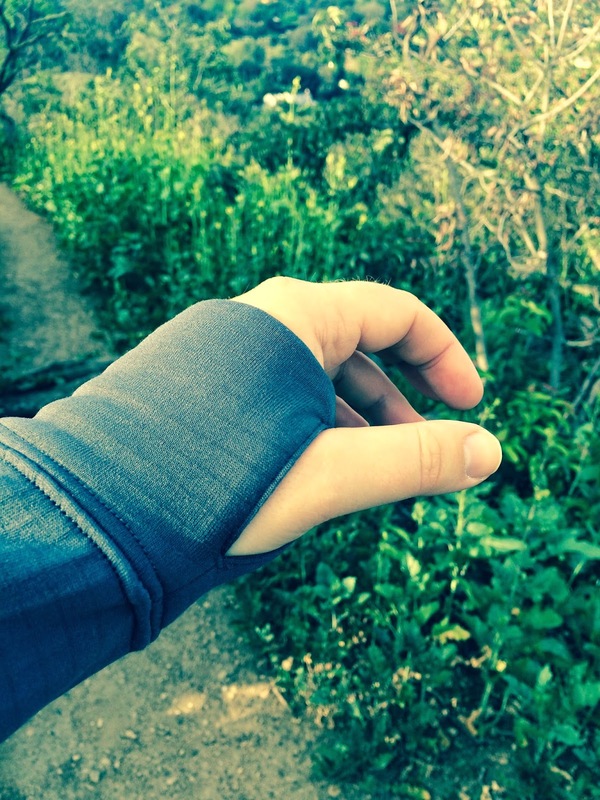 Of course, the biggest thing that I love about the Ecolator (or any piece of outdoor equipment is.... thumb loops! I always think these are must haves, especially in sunny climates like SoCal, and the folks at Terramar have truly thought of everything. This really is the best piece of gear I have gotten in some time and I can't wait to take it on more adventures or just wear it bopping around the neighborhood. Either way, the Ecolator will suit your adventure purposes! I am part of the Terramar Tribe and receive products from time to time to test out. My reviews are my own and I will tell you whether I like something or not. That being said, this is the internet, take everything with a grain of salt and learn from it what you can.